A recent survey shows that many people are willfully unprepared for the significant out of pocket costs from long term care facilities. More than 2,000 family caregivers and patients were recently surveyed, and most underestimated the possible need for long term care as well as the typical expenses connected with getting the support. Approximately 70% of all patients today end up needing some form of long term care support, but just under half of patients who responded in this study felt that they would need long term care. Patients also underestimated the age at which it was likely for them to need long term care. Most survey respondents anticipated that they would need this additional support from a facility or caretaker at age 79, although the national average in the United States for getting this kind of treatment is 73. This gap of 6 years’ worth of treatment can mean that you don’t have enough money set aside to prepare yourself for the rising cost of long term care. Long term care has an average cost of $47,000 or more, depending on the facility that you select. A private nursing home, for example, comes with a price tag of $100,000 whereas an assisted living facility comes in at an average of $45,000. When discussing a possible move to a long-term care facility, the family caregivers and patients who participated in the study said that the cost of care was one of their biggest concerns and for those family members who had already undergone this situation, the cost of long term care ended up being much higher than they anticipated. 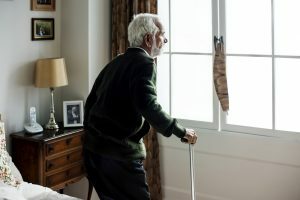 Although there is no way to guard against all possible negative outcomes or issues associated with long term care, there are many things that you can do to protect yourself as well as your loved ones from the challenges of recovering after an incapacitating event or needing consistent long-term care from a facility. 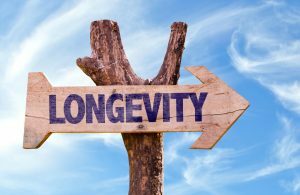 While it’s impossible to predict just how long you’ll live, it’s good to plan for a long and healthy lifestyle. Talking with an estate planning and elder law planning lawyer now can open your eyes to all of the opportunities available to you and can help to ensure that you have the appropriate documentation and strategies in place to guard against the problems. For those art collectors thinking about passing on their most valuable collection to others when they pass away, valuation and organization of this collection is strongly recommended. One way to pass on artwork is extremely risky. This refers to the matter of simply putting post-it notes on the artwork on the wall to explain who gets what. This approach, however, could represent that a significant portion of the value of the estate goes towards estate taxes. Estate taxes might not be an issue for many since the federal estate tax and gift tax exemption is $11.89 million per person. 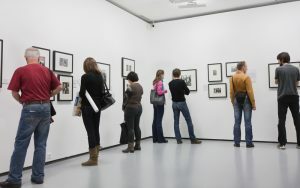 However, if an art collector accumulated a great deal of artwork, ignoring the overall value could cause problems later if it is not appropriately reported. You could pass on penalties, tax fraud, unexpected estate taxes and fines to the person who receives the art, in addition to prolonged IRS proceedings. Since the statute of limitations for tax fraud is limitless, you need to understand the possible complications well in advance. Even if artwork comes in at a value well below the estate tax exemption amount, clarity and organization regarding the disposition in the value of the individual artwork plays an important role in keeping the peace among your beneficiaries. The first step in this process is to make an inventory. List out each piece of art and its recommended value. Hire an art appraiser who has extensive experience in the field if you want to verify that the information is correct. It is not a good idea to attempt to ballpark the value of art. Rather it is much more effective to use an actual art appraiser and keep documentation from this process. Any large items or special collections in your estate deserve extra attention. If you don’t put in the effort for your beneficiaries on these items, the problems all fall to your loved ones. 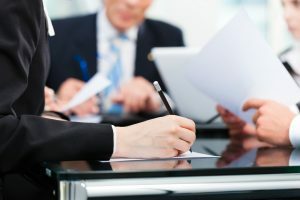 You might be doing unnecessary harm or causing confusion that can be eliminated with just a few meetings with your estate planning lawyer. If you’re not yet sure that what you have qualifies as a collection, consider carrying out the valuation process and talking to your lawyer. While some people certainly are successful when winning the lottery or receiving a large inheritance, the vast majority are unsure of how to manage these significant financial windfalls, and this can be very frustrating to realize that happily ever doesn’t just materialize. In many situations, sudden money can leave people worse off than they were prior to the windfall. Many people who are not used to managing such a large sum mismanage the funds. 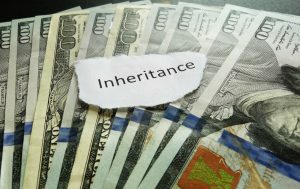 Many people blow through an inheritance or financial windfall extremely quickly, according to economists. It can seem like play money and this is where the risks can lurk for someone who is not familiar with how to handle a large amount. Man in white shirt and black tie holding an empty wallet. 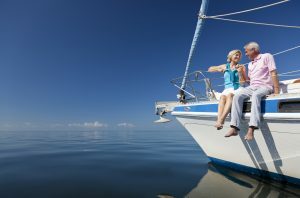 The easiest step to managing a large financial windfall is to understand that it might be best for you to do nothing. It might seem like taking a luxury cruise, buying a new car or upgrading your current housing situation would be the first thing on your list to accomplish. However, this can lead to a number of different purchases in the same manner that will all leave you feeling regret. Waiting at least six months after receiving a large financial windfall before making any life-changing decisions is strongly recommended. It’s also not a good time to consider quitting your job, at least not right away. Many people who have been in the unfortunate situation of struggling to manage a major financial windfall don’t realize that making these decisions so early on in their process could put them in line for a significant problem down the road. If you quit your job too soon and then blow through the money, you’ll be right back out on the job market, now with all of the shame and guilt of having to explain what happened if your receipt of an inheritance was in any way public. Make sure that you also think about estate and tax planning concerns. 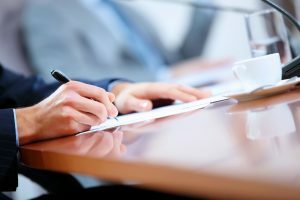 Scheduling a consultation directly with an estate planning attorney is one way to accomplish these goals and to verify that you have spoken to a professional about what to expect. When your life changes in a big way, you also need to have corresponding changes in your estate planning and related tools. U.S. families are increasingly opting to roll things together. In fact, data from a Pew Research Center analysis identified that 20% of the U.S. population lived in multi-generational homes. This brings about important concerns for estate planning. In some cases, this has to do with older children moving back in with their parents in order to make ends meet while carrying through their student loan payments. Others may involve grandparents who are involved in providing childcare. No matter what your house looks like, including your loved ones in your estate planning and considering the structure of your family is important. Many adult children are now considering how they can rework their existing housing arrangements to accommodate the needs of aging parents who require additional healthcare support. This means that estate planning and financial planning must be calculated because good planning is crucial to the success of all of these arrangements. There are many different multi-generational tax, financial and estate planning issues that can arise. Thought must be given in particular to those questions such as who should own the real estate and if that title is taken jointly in a family partnership, trust or otherwise. Inter-family loans might also be one other option to explore. Additionally, consider whether or not there exist sufficient assets in the parents’ estate to pay for any estate taxes while also providing for other beneficiaries. Real estate must also be included in the consideration of the overall estate plan and whether or not the plan is fair for all of the heirs. Deciding who should be included on what assets they should receive is extremely important and can help eliminate conflicts in the future. Navigating the decision-making process means thinking about what it means to include all of your key family members and common missteps that you should always opt to avoid, if possible. Scheduling a consultation directly with an experienced estate planning attorney is often the first step in getting your questions answered and understanding the various tactics and strategies available to you. 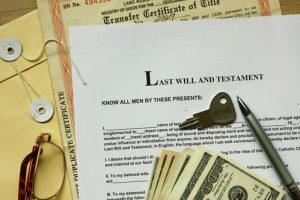 Does your estate planning need to be difficult? It doesn’t, but that’s one of the main reasons why people put it off. You deserve to have an estate planning lawyer who can help you with understanding each step and keeping you informed as your life and planning needs change. There are many different complications to having an estate plan, but thankfully, working directly with an estate planning attorney can help minimize the challenges and confusion you experience. 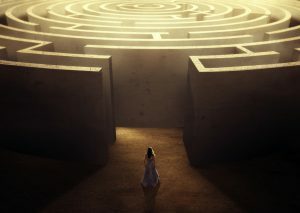 Health care and estate plans seem something like a legal maze. This can become even more difficult if you have existing family drama. There can be feelings of anger, mistrust, shame, and confusion, that come with concerns related to health issues, the aftermath of a loved one’s death or finances. Having your affairs in order in case something catastrophic happens, including the possibility of developing a disabling illness or a condition, is good no matter what your age. 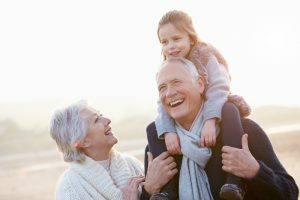 Many people come to schedule a consultation with an estate planning attorney when they are in their 50s through their 70s, when children have moved out of the house, and when mortality concerns are at the forefront. The primary reason for doing this at that point in time is because many people aren’t comfortable discussing mortality, but furthermore, don’t realize that they could have benefited from estate planning all along. 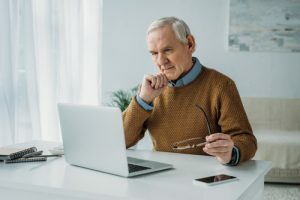 Older adults have unique issues as it relates to estate planning, including guardianship, probate asset protection planning, and dealing with Medicaid. However, estate planning for blended families can be notoriously complex and is one common way in which many people experience pitfalls in the estate planning process and discover it too late after an issue has emerged. Late in life marriages also require estate planning help. If one partner brings a significant amount of wealth into the marriage but the other party has few assets, this could be problematic if the party with fewer assets ultimately requires expensive long-term care. 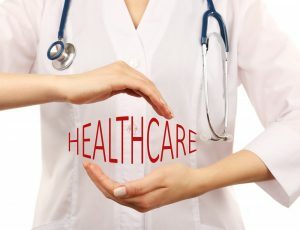 Since Medicaid will evaluate all of the couple’s assets in determining whether or not that party qualifies for assistance, both individuals might have to use their own personal assets in order to pay for the health care cost. Scheduling a consultation with a knowledgeable estate planning attorney can help you avoid many issues. What Does Bankruptcy Have to Do with Asset Protection Planning? Bankruptcy can play a role in asset protection planning but only when you have an attorney to help walk you through this. Bankruptcy, unfortunately, may be increasingly necessary for a company or an individual that is facing financial troubles. In fact, more than 2 million companies and individuals file bankruptcy on a yearly basis. Bankruptcy has an important role in protecting assets as well as in eliminating debts. Many debtors will use bankruptcy to protect their wealth in a downturned economy. Many consumers are overburdened with credit card debts, which means bankruptcy as a tool for asset protection planning has increased in recent years. 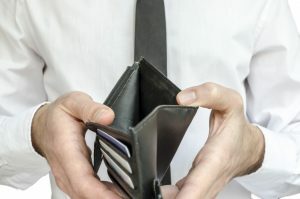 Bankruptcy is not always the right answer for any person overburdened with financial challenges but it can be the right choice when a person has too many debts to be paid from selling their assets or from their future income. Bankruptcy can be valuable for protecting your assets because all civil actions against you must immediately stop when you file for bankruptcy. This includes seizures, lawsuits, IRS claims, attachments, foreclosures, repossessions and levies. This is because every creditor has a legal responsibility to observe the automatic stay of legal action imposed by bankruptcy. Bankruptcy, therefore, gives you the chance to resolve your financial issues with creditors who might otherwise sell your assets or seize them. The timing of bankruptcy is critical as far as how it protects your assets. Debtors often file too late or too soon and either way, lose out on critical benefits and advantages of bankruptcy. Collecting all tax refunds before you file are recommended. Any tax refunds that are due to you at the time you filed bankruptcy will be claimed by your trustee. 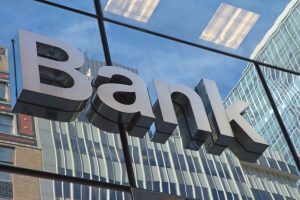 You will want to consult with an experienced bankruptcy lawyer as well as an asset protection planning lawyer to clarify that you have addressed all of the most common issues and that the timing of bankruptcy is appropriate right now. If you are concerned about how to proceed, reach out to a team of professionals who can help you. Your estate planning lawyer should also be included in these conversations. Adult children might want to shy away from having a conversation about finances with their parents, but plenty of research shows there are negative side effects of not having this conversation at all. Approximately one-third of parents over the age of 60, for example, say that they have never discussed their needs for later in life with their family, including beneficiaries, inheritance plans, critical documents or designated representatives. Adult children often worry that these conversations will lead to conflict or make it seem like they are only after their parents’ money or are curious about matters that the parents might consider personal. Starting with one conversation is the best way to approach financial and estate planning. Having the talk about finances is helpful for avoiding elder abuse as well as protecting your adult parents from scams. According to research conducted by True Link Financial, elder abuse and scams contribute to the loss of more than $36 billion every single year. 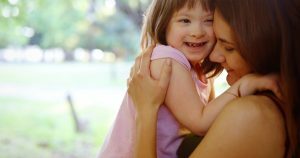 The right conversations about finances with your loved ones verify that an appropriate response plan is in place in the event that someone suddenly becomes disabled and is unable to make decisions for themselves. Furthermore, you will understand the signs of a scam or elder abuse so that you can take action quickly against the person who might be trying to take advantage of your loved ones. Carving out time for a family meeting when all children are present is the right way to approach this process and begin with the basics, as launching into advanced estate and financial planning considerations can be difficult. Look at discussions from a group perspective about the end of life goals you might be considering and asking parents about theirs. While it might seem uncomfortable, broaching serious topics is necessary, and always try to leave any judgment you have at the door because it is already difficult for your loved ones to have these conversations, to begin with. When you pull yourself out of the process and instead allow your loved ones to open up at their own pace, you will find that it is much easier to have these conversations and to understand your parent’s goals.